You are in the process of starting from scratch or re-designing a website. As you begin to think of design options, you are thinking of colors, fonts, links and pictures because the appearance is everything, right? Wrong. Think of it this way. It’s like getting into a fancy brand new Rolls Royce. It’s a beauty and you can’t wait to drive it. After being handed the keys you are told it has no engine. That’s right it’s beautiful to look at, but if you cannot drive it, what’s the point? It’s a Rolls Royce, but without an engine, it is pretty but useless. The same applies to your website. 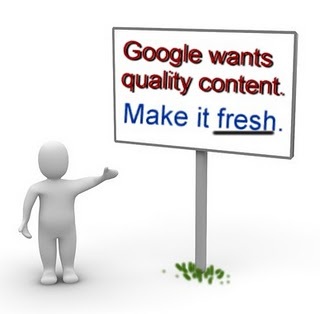 Sure, the appearance is important, but it is not the MOST important component to internet marketing. So what is? Content. Think of the content as the engine in the car. If you maintain the engine and change the oil, it will last you for years to come. Same applies to the content on your website. As long as you continue to add fresh and relevant copy, it will continue to climb up the Google organic ladder in search results. Content seems so overwhelming for many business owners and entrepreneurs, but it is the essential piece of the puzzle. If you are scrolling through a site and see that all of the articles and ads are old, you assume they are not as professional as the others. The fact of the matter is that is your site is a reflection of you and your business. You are being judged by your lack of content. There is no need to rack your brain and come up with zany campaigns or creative novels, just write about what you know best. Click here to find out more about content building and web design.